ONE OF the many joys of life in Northeast London is the occasional discovery of an area that nobody else knows about. Of course, in your heart you realise that means only that you have just discovered an area long known to local intimates – yet the thrill is still there. Leamouth is such a hidden settlement, although “hidden” is hardly the word because what drew Loving Dalston to it was years of seeing “Leamouth” marked as the destination of the 277 bus that passes through Hackney. Did that refer to the mouth of the Lea, aka Lee? Well, it did, and like an East End wide boy the river even uses a different name as it slips into the broad, busy Thames. Here it calls itself Bow Creek, making it possibly the only watercourse that starts as a river and ends as a creek. And just as the river attracts a profusion of birds to pick food from its muddy banks the area attracts London-lovers for the history that oozes out of the uncommonly quiet streets, once so isolated from the nearby city that inbreeding was, uhm, endemic. 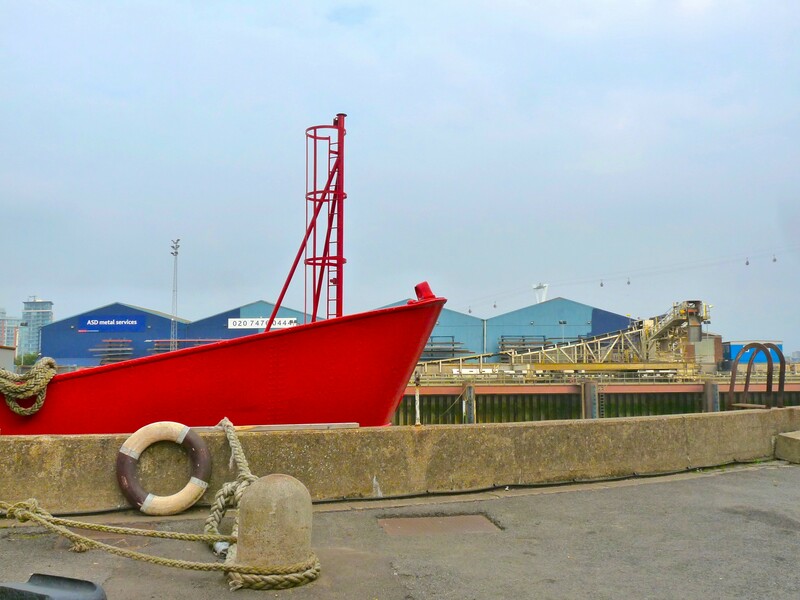 Ancient documents record small ships from around England and the Continent unloading their cargo at Bow Creek in the 1200s. By the late 1700s a village was taking shape. 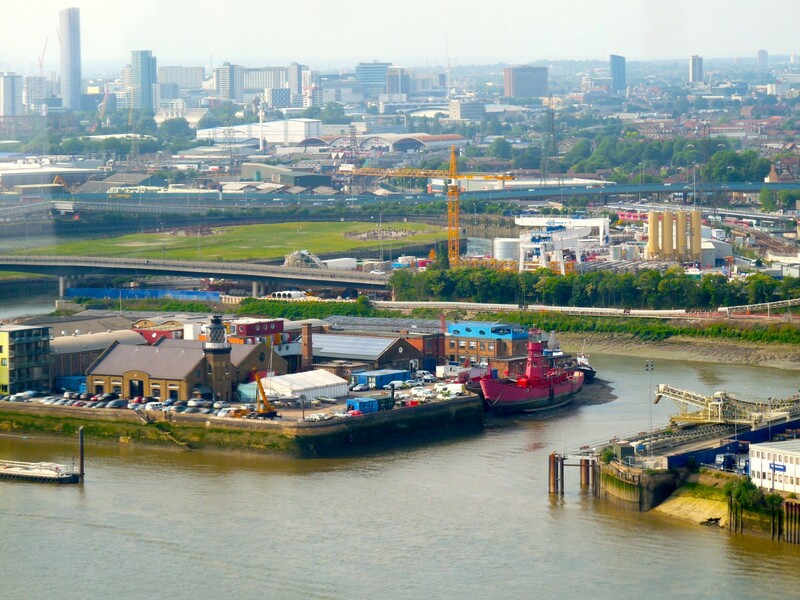 The building of more docks along the London River, the Thames, brought some industry and with it the need for worker accommodation. 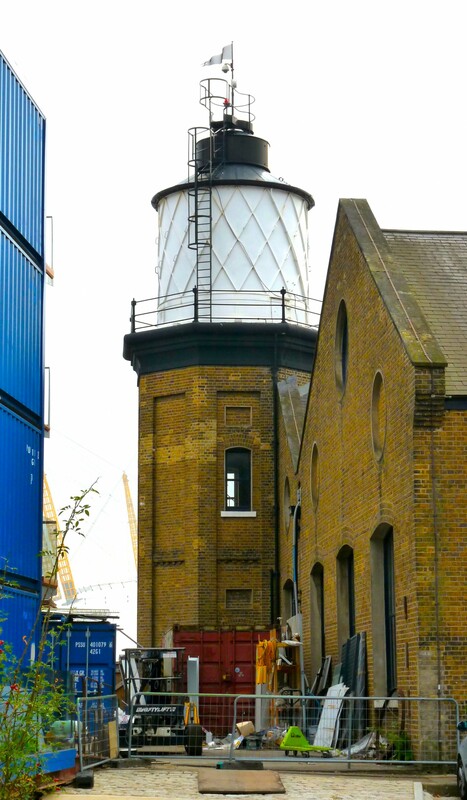 The capital’s only lighthouse was built on the wharf known as Trinity Quay, attracting scientist Michael Faraday, who was able there to research electromagnetic induction in the 1830s. Now it is a free museum, a well-maintained building with fine views from its tower and an audio installation intended to play for a millennium. On the south bank of Bow Creek in the 1840s stood the CJ Mare and Co. shipyard, which became the Thames Ironworks and Shipbuilding Co. In the soccer team the factory workers formed in the 1890s lie the origins of West Ham United Football Club in 1900; hence, the nickname the Hammers, the symbolism of a pair of shipbuilder’s crossed hammers, and the slogan, “Come on, you Irons”. Over the last few years the area has been quietly and respectfully transformed. 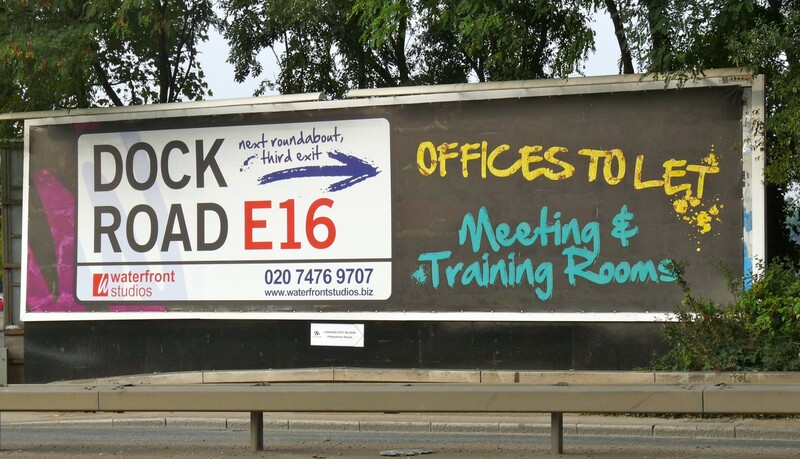 Now you can ogle unusually cogent graffiti (eg, main picture), birdwatch at the nearby Bow Creek ecology park that attracts flocks of waders at low tide, gaze on a brightly-painted lighthouse boat and gawp at media and high-tech workers going in and out of their Boxpark-type offices. Unfortunately, as is near inevitable in our corporate-led city, this wonderful enclave of curiosities is not going to be ours to explore for ever. Yes, the City has started to “regenerate it”. Already public space is being privatised as parts of it are occasionally closed to all but the affluent invited who can smugly flourish a pass to one of the private functions being increasingly held there. Any choice… eco park or big-money project? 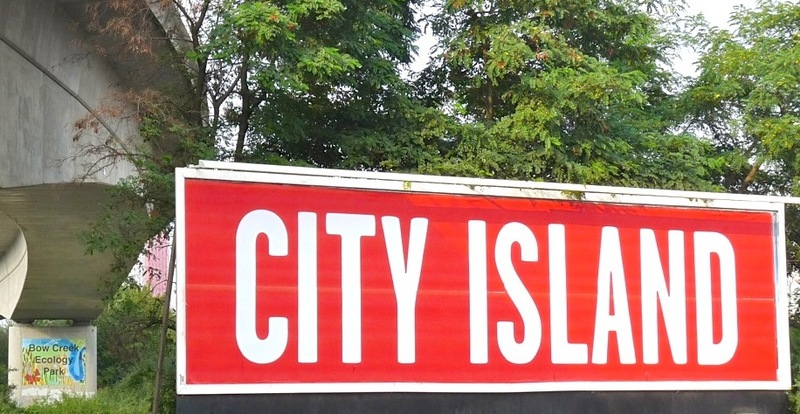 The district will soon be dominated by City Island, a Ballymore housing scheme. The developer has already been boasting of “record-​​breaking phase 1 sales values” – the eagerness of the Chinese to visit sales suites in Beijing and Singapore is undiminished. This year 2015 Ballymore applied to Tower Hamlets council for permission to build 800-plus flats in a 30-floor, 16-block estate it calls Leamouth Peninsula South. The developer said it would demolish buildings on Hercules, Union and Castle wharves as part of its “substantial regen­eration benefits” for the borough and specifically the “Leamouth Peninsula communities”. Whatever these “communities” are, they should look closely at the plans. They, and all Londoners, have a lot to lose at Leamouth. * The 277 bus runs from Highbury corner to a stop 1km from Trinity Buoy Wharf, Orchard Place, Poplar E14 0JW. Come on, you can walk it. Or you can walk from the East India DLR station. 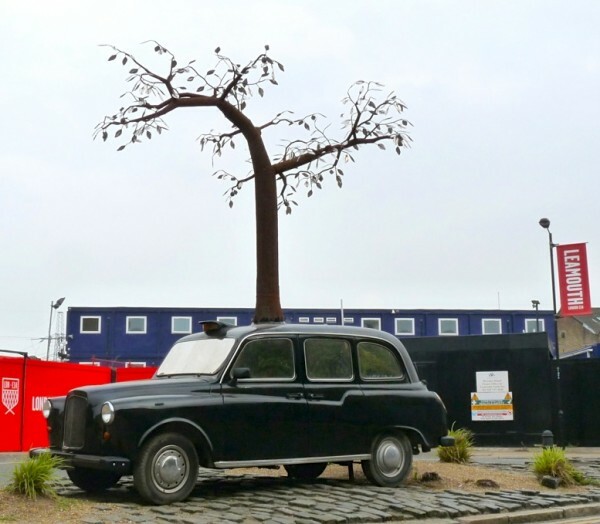 If you can afford to take a London Riverbus to North Greenwich Pier (discount with Oystercard) a ferry will shuttle you across the river to Trinity Buoy Wharf/Leamouth: buy the £2 one-way ticket on the shuttle boat. Good call! We did a nine-strong excursion on the 277 and it went down a storm. Sad to say it was the first we’d heard of it. I am glad to hear of your excursion. People such as you nine are the hope for the future of our fine city. You may have noticed expensive ads for flats on City Island have lately appeared in the media, so your walk may have been just in time. Here is another area http://lovingdalston.co.uk/?p=19742 that may appeal to your posse. The rail fares will cost more than the 277 bus but a pleasant amble down the Lea Valley is worth planning for a weekend. Also good for cycling. Some other readers emailed me today, having had a wee outing down the river path. Their only complaint was that the pub at Rye did not allow even lap dogs inside. Perhaps I should seek such info in future. – Ed.